Anticipating the debates, most firms had already weighed in with pre-debate polls setting various state-level baselines for both candidates. That means that for a Thursday there just weren't that many new polls floating around. But there were a handful. Again, the Nutmeg state enjoyed a period of time where it looks as if the poll margins were closing into the upper single digits, but that has since slipped back into the lower double digit range. And the latest Quinnipiac poll of Connecticut confirms that. The previous Q poll was an example of a narrower gap -- just before the Republican convention -- and this latest poll shows that margin back up at the 12 point level; right around the overall FHQ weighted average margin. 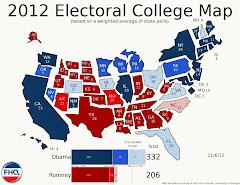 Hawaii makes the second deeply blue state without any 2012 polling data to have a survey released this week. [Rhode Island was the other.] Like Rhode Island, there isn't really any suspense in the Aloha state. Obama's home state is still safely blue for the president even if the gap between the candidates in this poll is slightly lower than where the 2008 election results were. I don't know that a Romney +3 in Missouri is all that surprising, but the Show Me state has never really felt like a 2012 toss up state at any point this year. However, recent polling seems to be suggesting that +3 is the lower bound of the range of polling results; a bit of a best case/worst case scenario for Obama or Romney, respectively. For the sake of context, the Romney share of support in this poll is right on his FHQ average there while Obama's is slightly overstated as compared to the same metric. 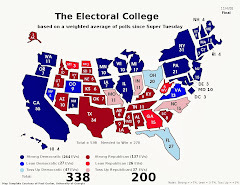 There were very few polls today and not surprisingly that offered little in the way of opportunity to see changes to the map (and resultant electoral vote tally) or the Electoral College Spectrum. 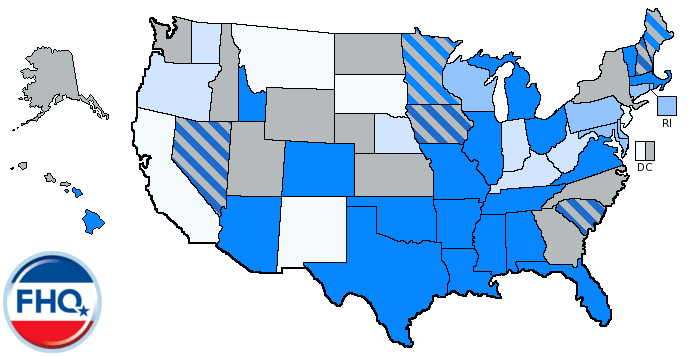 The map remains unchanged as compared to a day ago and the Spectrum saw only Hawaii move; jumping both New York and Rhode Island to a spot deep into the Obama column. The same principle applies to the Watch List. 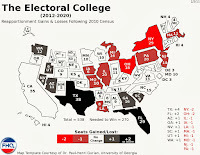 None of the seven states on the list had new polling information released and none of three states with new survey data were all that close to the cutpoints to put them on the list. The status quo wins out as we await some post-debate data.